Index funds have become a major force in the investing world. In fact, as late as 2016, more than $1 out of every $5 invested in the equity markets here in the United States was believed to be invested through the conduit of an index fund. What, precisely, does this mean and why should new investors care? What are the benefits of investing in index funds? What are the drawbacks? These are some of the most important questions you'll face considering that you are going to need to seriously give index funds a look, especially if you are a smaller investor of modest means. In the next few minutes, I want to walk you through how I think about index funds - the good, the bad, and the ugly - to help you gain some perspective. To understand what an index fund is, you first need to understand the definition of an index. An index doesn't actually exist in a sense. Rather, it is an academic concept; an idea. Basically, it amounts to a person or a committee of people sitting down and coming up with a list of rules as to how to construct a portfolio of individual holdings because, in the end, the only thing you can actually do is invest in individual common stocks or bonds, presuming we're limiting our discussion to equity and fixed income markets. For example, the most famous index of all time, the Dow Jones Industrial Average, is a list of thirty blue chip stocks. This list is to be made up of a representative collection of stocks that are important to the economy of the United States. The shares are weighted based on stock price and adjustments are made for things such as stock splits. The stocks on the list are selected by the editors of The Wall Street Journal. Historically, the DJIA has been highly passive as changes are somewhat rare. The Dow Jones Industrial Average has beaten many other indices, including the S&P 500, over long periods of time by a meaningful margin on a compounded basis even though the year-to-year results deviate and frequently appear small. Speaking of the S&P 500, it is now, perhaps, the most widely discussed index in the world. Short for the Standard and Poor's 500, which was originally called the Composite Index when it introduced its first stock index in 1923. It expanded to 90 stocks in 1926, before expanding to its current count in 1957 of 500. The S&P 500 has a more complex methodology than the Dow Jones Industrial Average. In the past decade, the S&P 500's methodology has been quietly changed in ways many inexperienced investors won't understand but that, had they been in place in the past, almost assuredly would have lowered the returns the stock market index generated. Investors today are largely clueless that what they are getting is not their grandfather's S&P 500. At some point, you enter a Ship of Theseus paradox and you have to wonder, at what point you are dealing with an entirely different thing. In any event, an index fund is simply a mutual fund that, instead of having a portfolio manager making selections, outsources the capital allocation job to the individual or committee determining the index methodology. That is, if you buy a Dow Jones Industrial Average index fund or ETF (an ETF, or exchange traded fund, is a mutual fund that trades like a share of stock throughout the day rather than settling at the end of the day like an ordinary mutual fund; often same portfolio, same underlying holdings), you're really just handing over the job of managing your money to the editors of The Wall Street Journal. If you buy an S&P 500 index fund, you're really just handing over the job of managing your money to a handful of people at Standard and Poor's. In the end, you still own a portfolio of individual stocks, it's just held in a pooled structure with a portfolio manager over it who is responsible for getting results as close to the index as possible (known as "tracking"). To learn more about the setup of a mutual fund, read How a Mutual Fund Is Structured. What are the advantages of investing in index funds? Index funds have a lot of advantages, especially for poorer investors, which is one of the reasons I've lavished a lot of praise on them over the years. 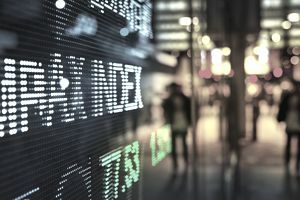 First, as long as the investor realizes there is nothing magical about the word "index" - there are good indices, bad indices, and mediocre indices - and selects an intelligent underlying index run by a stable and responsible asset management company, it should provide a satisfactory way to participate in whatever underlying market it represents with a single purchase. That has a lot of convenience and can mean lower transactions costs, which matters if you're only investing something like $25,000 or $50,000 and commissions could eat up a meaningful amount of your principal if you attempted to build your own 30, 50, 100+ stock portfolio directly in a brokerage account. Second, many index funds in the equity market tend to be run in a way that minimizes turnover. Low-turnover, or high passivity depending upon how you prefer to phrase it, has long been a key to successful investing. In fact, there is a tremendous body of research that shows investors would be better off in many cases buying the underlying index components directly, as individual stocks, and sitting on them with no subsequent changes at all than they would be by investing in the index fund itself. These ghost ship portfolios, as they are sometimes known, require a specific type of psychological profile but the rewards over periods of 25 to 50 years can be astounding. You don't have to worry about methodology changes and you have much better tax planning flexibility should you need to raise cash. Third, index funds tend to have lower mutual fund expense ratios than other mutual funds. This can add up to real money over time if you aren't fortunate enough to have a large portfolio with the requisite scale to take advantage of other opportunities and planning strategies. Take a firm like Vanguard, the largest sponsor of index funds in the world, said the median participating balance for one of its retirement accounts was only $29,603. That means half of those accounts have less than $29,603 and half have more. That's extraordinarily small compared to a lot of asset management firms. In fact, it doesn't even cover the minimum fee at many of the white-glove, well-heeled asset management groups that build portfolios for the affluent and high net worth investors. An investor with $29,603 couldn't even get serviced at most regional bank trust departments. Even then, if the account were only $100,000 or $150,000, some of those bank trust departments would charge investment management fees of between 2.5% and 3.0% so it still wouldn't be worth it given the almost guaranteed under-performance relative to the index unless you were getting some sort of comprehensive financial planning assistance or other service; e.g., a widow in a farm town who doesn't have to deal with paying her bills because the bank takes care of everything so she can live out her remaining days in peace after losing her husband or wife. There can be a lot of utility for a person in that situation, especially someone who isn't good with money and doesn't have more than a couple of decades to live so the fee differential doesn't have a huge compounding period to expand upon itself in terms of opportunity cost. In fact, it's a good general rule of thumb for any young investor of modest means investing through a 401(k) plan at work to almost always opt for the low-cost, highly passive index fund over any of the other offerings available to him or her. It's how to handle assets if they are stuck within a retirement plan at the place of employment. Fourth, index funds have an enormous psychological advantage for people who are not inherently good at math. Do not underestimate how incredible this can be in saving a family from financial hardship and ruin due to its influence on behavior. A lot of men and women, who otherwise might be intelligent, good people, lack a basic grasp on how numbers interact together. To demonstrate it, take the so-called bat and ball question. A lot of people answer, "$.10". It's wrong. The answer is $.05. In the same way, they can't grasp that immediately - and people can learn in most cases, of course, it's that they don't want to bother - they don't understand the math of diversification. They don't get that individual components can compound at a lower rate, on average, than the overall portfolio or that several bankruptcies of different holdings along the way can still result in positive returns. The index fund solves this because it serves as what I've called an obfuscation mechanism. It hides the returns of the underlying components so investors don't have to think about them. They don't see things like their oil stocks collapsing by 50% or more because it's hidden in the headline index fund share price number. Rich investors, sophisticated investors, they don't need this sort of mind trick. They own the stocks directly. In this way, the index fund can help encourage investors to hold on longer than they otherwise would have, thinking about their total portfolio and not the underlying components. Fifth, index funds, by nature of being diversified already, diffuse the dangers of investors who suffer from a cognitive bias called irrational escalation. Sixth, index funds force people who cannot value businesses, and thus have no business owning stocks, to avoid the temptation to select individual ownership stakes in different enterprises. You wouldn't believe how often I've watched ordinary people who are smart in all sorts of areas throw their life savings into a company they don't understand based on the most ridiculous justification. By outsourcing their thinking to the editors of The Wall Street Journal, a handful of employees as Standard and Poor's, or whomever else may be running a given index, they basically allow those who have more financial literacy and understanding to make decisions on their behalf. What are the downsides of investing in index funds? On the flip side, there are several major disadvantages of investing in index funds. These become more pronounced the more successful you are. For lower and middle-class investors, the index fund was the only way to achieve that if you didn't want to devote a lot of time to your portfolio. In fact, though the future may differ from the past so there is no guarantee it will always be thus, if you could go back in time and had a choice between investing in an index fund - we'll pick the S&P 500 market capitalization weighted version for the sake of simplicity - or creating your own private index fund by buying all five hundred underlying stocks, individually, on an equal-weight basis and holding them with no subsequent changes, including watching several individual positions go bankrupt, your private index fund would have crushed the public index fund over 30, 40, 50+ year periods. As a matter of fact, it's not even close. No intelligent person would have picked the public index fund over a privately constructed index fund made up of the individual securities held on an equal-weight basis after seeing the data if he or she could afford the costs. Dr. Jeremy Siegel and his researchers at Wharton have demonstrated this beyond any potential disagreement so arguing with it is like advocating for the Flat Earth Society. The numbers are crystal clear and irrefutable. The academically inclined among the asset management industry know this but it's Mokita - a truth that isn't spoken outside of professional circles or certain classrooms because it's impossible to offer it on a widespread basis without breaking the equity markets due to the lack of float in the smaller components (it's gotten so bad, the larger components now have to be float-weight adjusted, which effectively means mom and pop investors of public index funds in the future will be transferring their wealth to rich insiders who decide to sell out at the top of stock market bubbles; an esoteric adjustment that, while necessary to accommodate the massive inflows of capital, amounts to one more transfer from the poor to the rich. And don't even get me started on the fact that many people think the S&P 500 is passively managed - it's not, it's highly passive but very much actively managed by a committee of folks at Standard and Poor's who change the rules from time to time, including selling off some of the highest returning international equities. Many of the elite asset management groups will run private index-like portfolios such as this for investors who want the better diversification of equal-weight methodology if they ask. It can be done at very little additional cost provided the investor has the requisite scale. In fact, John Bogle himself attempted to get Vanguard to offer such a service several decades ago before the management that ultimately forced him into retirement due to his age rejected the idea as too much work for the firm. Bogle was correct - the tax consequences for wealthy investors are important enough, leaving aside the equal-weight-versus-market-weight advantage entirely, that it's still better to own the underlying components directly. Between the risk of embedded gains, which I'll touch on a bit in a moment, and the ability to tax lot harvest when needing to raise funds, the advantage becomes shocking as time passes and compounding works its magic. People who don't understand the principles behind Bogle's early work, the thing that makes the index fund function in the first place, do not understand the public, pooled structure isn't a requisite; it's not required to capture the forces of passivity, low costs, and tax efficiency. Rather, it is only a way for those without sufficient scale to take advantage of them. It's second best. It was never meant for the rich, who, if they desire to index, should be running a private index fund on their own. How much would it take to justify building your own private index fund rather than investing through a pooled public index fund? Good question. A quick glance around most white-shoe firms indicates you could probably get it done for between 0.75% and 1.00% if you had less than $5 million. If you have $5 million to $100 million, you might get away with paying between 0.25% and 0.50%. Due to the ability to tax-loss harvest and having assets more equally spread out, there's a good chance over 25 to 50 years, you'd be not just better off, but a hell of a lot better off despite the modestly higher fees due to superior portfolio construction methodology of your private index account than you would be with the public index fund. Even more unfairly, the richer you are, the bigger the advantage. This just isn't possible if you have something like $50,000 unless you're really enterprising and convince a brokerage firm to give you five hundred free trades in exchange for opening an account then have that same broker reinvest the dividends for free. Even then, it's going to be a good amount of work on you and you risk corporate reorganization fees of $50 or more cutting into your returns which wouldn't matter on a $10 million portfolio but mean a great deal on a $50,000 portfolio. Split-offs will occur. Tender offers will be extended. Proxies will need to be voted. The paperwork mailings alone could bury your living room. It's a different calculation from someone with $750,000 going to a place like Personal Capital and paying 0.89% or someone with $50,000,000 walking into Goldman Sachs and paying 0.25% to save himself the hassle and have it all taken care of without worry. Another potentially devastating issue with wealthy investors holding certain index funds that nobody wants to talk about, and even if they do, refuse to believe the same way folks ignored the dangers of dot-com stocks and collateralized debt obligations, is the risk of embedded capital gains. It is outright stupid for such a person - for a rich investor to buy a meaningful amount of something like the Vanguard S&P 500 index fund in a fully taxable account when, with a relatively insignificant amount of work, he or she could build the index directly out of individual stocks and avoid the risk of being stuck with enormous potential tax liabilities that arise because of the way the tax code treats past unrealized gains in a fund. Specifically, Vanguard had $198,712,172,000 in that particular fund at the end of 2014, of which $89,234,130,000 consisted of unrealized gains. If Vanguard were to experience a significant run on the fund for whatever reason - and these things have, do, and will happen - management could be forced to liquidate those positions or, at the very best, pay them out "in kind". This is something Vanguard investors have never had to consider because as indexing has become the latest fashion, it has been able to pay redemption requests with fresh deposits a lot of times, net assets growing in the long-run. Should that stop, it could get ugly. Many people won't have to worry about it because they own this fund in their 401(k), Roth IRA, or other tax-shelter. You also may not care about it if you plan on donating most of your estate to charity and your spouse is only a few years younger than you with a life expectancy that is nearing its end. Warren Buffett is a good example. His second wife, Astrid, will inherit somewhere around $100 million to keep her comfortable following his death, of which $90 million will be in a taxable S&P 500 index fund and $10 million in cash. However, Buffett will almost certainly have this put into some sort of charitable annuity trust, most likely organized by Munger Tolles, which itself mitigates almost all of the tax risk. Even if he didn't, given the large amount involved, and the likelihood of end-of-life arriving in short order, the trade-off isn't worth building a portfolio directly as he isn't leaving the money to his children and grandchildren. Were you to ask me, I'd probably draw the line at a couple million dollars, saying that if you want to follow an indexing strategy and had at least the low seven figures invested outside of the confines of such protection in the pooled, public index fund rather than your own privately constructed index fund, you may mean well but you're behaving very foolishly. I wish I could say it more kindly or in a way that doesn't risk offending you, and no matter how much you may dislike me for bringing it to your attention, it doesn't change the fact that with a tiny bit of effort, and practically no additional net expense, you could eliminate the possibility of triggering embedded taxes, enjoy tax lost harvesting, and likely higher long-term returns due to the superior methodology of initially equal-weight positions entirely and yet you choose not to out of a misunderstanding of what it is you own, the way it is structured, or obdurance. The opportunity cost of the lost wealth is real. It is meaningful. You and your heirs have no one else to blame. There isn't even a major convenience advantage, anymore; not at that size. If you've ever worked with a private asset management firm, you know that you can log in to your custody account as easily as you can an account holding a public index fund. There's no real downside here provided, again, the requisite scale is present. Nevertheless, whenever I mention this, there will inevitably be hate mail that flows into my inbox. It's unavoidable. People have these weird ideas about index funds in that they understand the benefits but fail to grasp why they work. They don't realize how significant the advantages of indexing directly in a private account can be overusing the pooled public structure once you're rich enough. As a result, they refuse to even look into it, in which case it becomes abundantly clear that there's no real cause for disagreement. The facts are the facts. It's not a matter of taste like chicken versus beef, it's a matter of numbers. One particularly large drawback of most index funds is that they are not intelligently representative of different sectors and industries. There are very good arguments that the current S&P 500 index is weighted far too heavily toward financial companies. Something like an individually managed account might be able to sidestep that; creating a private index fund like I've already discussed and then weighting certain sectors and industries more heavily in favor of underlying fundamentals. Alternatively, if you are a do-it-yourself investor, you could hold a core collection of index funds then tilt the portfolio in certain directions through the introduction of individual stocks designed to increase their weighting relative to the index. Yet another drawback of index fund investing is the societal consequences. Despite my praise for them in certain conditions, and my decision to use them in my own charitable foundation, which is structured as a donor-advised fund to avoid certain disclosures, basic intellectual honesty requires me to acknowledge that index funds are parasitical by their very nature. They exist by extracting value from the regular investors setting the price through their buy-and-sell behavior. By piggybacking on them, index funds effectively get a free ride, contributing little to the necessary function of identifying businesses and funding productive enterprise. They are somewhat akin to a clever teenager figuring out how to cheat a soda machine to get free Coca-Cola. Someone, somewhere, is paying the price as he brags about his low-cost beverage. When I use them for my charitable foundation, I'm getting an unfair advantage. When you use them in your retirement accounts, you're getting an unfair advantage. As long as a small enough percentage of people do it, it's fine. Unfortunately, if enough people ever adopt indexing as an investment strategy, it could decouple the market quotation of stocks, especially smaller components in the index, from the price a rational free market would set. This would be bad not only for society but for the investors in the long-run. Where is that point? Nobody quite knows. We've now reached a threshold in which $1 out of every $5 invested in American equity markets is put in index funds. That would have been unthinkable not that long ago. It's not something that is going to end well if it continues. It may take years, even decades, to play out but it's not a good thing. Paradoxically, the best defense is knowing what you actually own, the underlying holdings of your index funds, and how they are valued relative to intrinsic value but if you can do that, you wouldn't own the index fund in the first place. One of the challenges I face in writing about index funds is my insistence upon intellectual honesty - telling you how I actually feel about a topic - and my worry that the wrong audience will listen to that message. For the poorer and inexperienced, index funds are a Godsend, the benefits of which dwarf the drawbacks in most cases. It's one of the reasons I talk about them so often and praise them so liberally. The last thing I want is a person to somehow misinterpret my writing on the topic and try to invest in individual stocks with their little portfolio, having no idea what they are doing nor any interest in learning. Things like the concentrated positions that were destroyed in the G.T. Advanced Technologies bankruptcy are horrific to me and I want to spare as many people as possible the pain of going through situations like that. If you can't read a balance sheet or analyze an income statement, the index might be your friend. Additionally, index funds have taken on a cult-like status in certain sub-regions of the population. I've referred to them as a form of secular religion; a sort of click-whirr response equivalent to a person driving a car into a lake because the navigation system told him to keep driving straight. I've used the analogy before but they take a solution meant for those without a lot of money then attempt to scale it, which you can't do any more than you could use experience building a log cabin to construct a skyscraper. It's total nonsense but they'll come across with the force and authority of a fire-and-brimstone preacher, denouncing anyone or anything who questions their orthodoxy. Often, these are failed speculators who experienced significant stock market losses and, like a former alcoholic who is obsessed with the idea of everyone drinking, overcompensates. Far from the reasonable man or woman who says, "I acknowledge the shortcomings and risks of index fund investing and think they are still the best fit despite those problems" - a perfectly rational and intelligent way to behave in most cases - they think that index funds are the answer to all of life's problems, focusing on cost to the exclusion of all else, including value. It isn't an accident, to provide one example, so many billionaires use the services of Northern Trust for their banking and trust fund administration needs. Those fees they pay can be a fantastic trade-off in a lot of cases. So what if they underperform the market by a few points per annum toward the end of their life expectancy but they cut their inter-generational estate tax bill by millions upon millions of dollars due to intelligent planning and asset position strategies? Do you think the rich got that way by being stupid? I once saw a person advocate online that a lottery winner should invest tens of millions of dollars in index funds! That's how enormous the divide between the average investor and the top 1% is. You would almost never hear a truly wealthy person or family advocate such an idiotic policy. The secular religion model is the correct one because these people are engaged in idolatry. They worship the form of the thing over its substance. They don't understand the difference between market timing, valuation, and systematic purchasing. They say nonsensical things like, "I don't invest in individuals stocks" when, in the end, all equity index fund investors are really owners of individual stocks. All that matters is 1.) which stocks you own, 2.) how those stocks are selected, 3.) the weightings assigned to those stocks, 4.) the costs relative to the services or benefits received, and 5.) the potential tax exposure. Maybe you can get it through an index fund, maybe you can't. Directly owned passive portfolios are going to be a better choice for a lot of successful people. If your portfolio is modest, and you don't have a clue what you are doing, index funds are probably your best bet. They are good enough for what you need and will likely save you from a lot of mistakes. If your money is held captive in a 401(k) plan at work and you have to make allocation decisions, low-cost index funds are almost always going to be among the best choices you have at your disposal. Seriously consider investing in them over the alternatives or, at the very least, making them a core part of your portfolio. If you are affluent or high net worth, enough to get economies of scale with your money, take advantage of certain planning and tax strategies, and have a lot of money outside of tax shelters, you are bonkers if you invest in the pooled, public index fund. Instead, if you want to use an indexing approach, build a privately held index fund for yourself or pay someone like Goldman Sachs a meaningless handful of additional basis points to administer it for you. There are few things nuttier than someone with millions of dollars sitting on taxable index funds when the dramatically superior alternative of a private index account is available. In other words, take index funds for what they are: a potentially wonderful tool that can save you a lot of money and help you get a good foundation underneath you. Once you are wealthy enough to have some real money behind you, consider bypassing the pooled structure entirely and owning the underlying components. Beyond that, index funds are neither friend nor foe, virtuous nor evil. They are a tool. Nothing more, nothing less. Use them when it suits you and is to your advantage, avoid them when they don't and aren't. Don't get emotionally attached to them or somehow be seduced by the lie that there is something magical about their structure that makes them superior to all else in the universe. If you do invest through index funds, I'd gently suggest you consider dollar cost averaging into a handful of core index funds, including an all-cap domestic and a developed market international, reinvest your dividends, ignore market fluctuations, and stay the course. Let time do the heavy lifting for you and, if you have a long enough run and good enough luck, retirement should be more comfortable than it otherwise would have been. There are a lot worse things you can do. Otherwise, I wish you good fortune and hope you make the right decision for yourself. If you'll excuse me, I'm going to go brace myself for the inevitable onslaught of hate mail I mentioned that is assuredly coming my way. Over the past decade and a half, whenever I write about the advantages of index funds, or point out some of the recent research about them, if the article isn't sufficiently glowing with praise, there's a small contingent of readers who will become openly hostile in a way I haven't seen since back at the tail end of the dot-com era when I had people screaming at me for pointing out they shouldn't be buying Coca-Cola at 50x earnings. That's okay. I understand completely. Some people are wired to attack anyone who tells them something they don't want to hear. I'll take it because I care about you and your family. I'm also right. Look into it and sooner or later, you'll come to the same conclusion. The facts are not up for debate and the historical evidence is overwhelmingly conclusive.